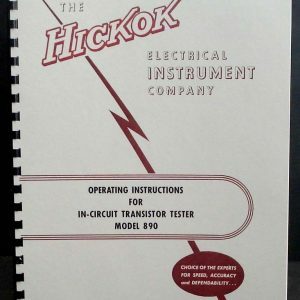 For sale is reprint of 2 manuals for Hickok KS-15559-L1 KS-15560-L1 Tube Tester made by Hickok for Western Electric. 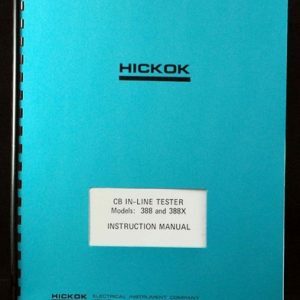 1st Manual was released by Hickok and is 10 Pages long. 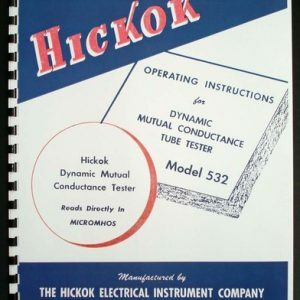 2nd manual is a 23 page Bell System Practices Manual with 11×17 foldout of schematic diagram. 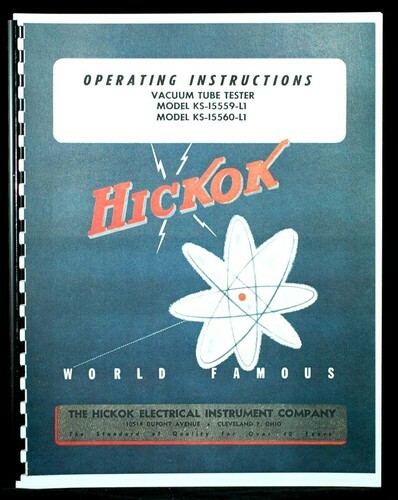 Schematic is dated December 1952. 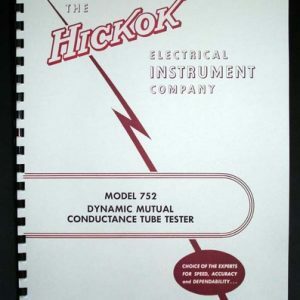 Hickok Manual includes 4 page chart with ballast tube testing chart and part list.